You may think that app development is easy, considering the proliferation of apps across genres. That is definitely not the case. With competition rising, users are spoiled by unlimited choices and the unchangeable fact that there’s only so much space on their smartphone. The app developer has to really step up his game if he wants to woo users into downloading his app. Do you think the fact that more and more people are using smartphones, tablets or wearable devices is good news for app developers? If so, rethink this bit. Multiple devices complicate app development. Given that each of them has a different operating system, screen size, screen resolution, etc. the developed app is tasked with catering to all these specifications. The app has to flawlessly function on hundreds of devices for it to be a success. Today’s world is fickle. Unlike years past, where people were loyal to a product or service, today’s generation has no qualms about shifting their loyalties if a better app comes along. The pressure to develop a feature-rich app that loads quickly and possesses everything one can dream of becomes that much more intense. To be noticed in an overcrowded market and resonate with users, the new app must outshine other apps. An app developer may develop a glorious app with the best features, multiple interactions, and crystal clear visuals. Isn’t it a downer, though, if the app drains the battery and you end up having to replace the battery or worse the battery fails you at a crucial moment? Battery life, which is a common complaint among smartphone users, must be factored in when developing an app. To positively influence a user’s experience, the developer must design an app with many features, multiple interactions and high-quality visuals, but he must make the app go easy on battery life and memory! App users are a confused lot. Which apps should they download? Books, games, e-commerce, shopping..it’s a never-ending list. In these genres which are the good picks? With so many choices available, users may simply pick the first one they think will get them what they are looking for. The more discerning group will read reviews and ask friends which app to choose. When this happens your app better grab their attention! Now this one’s not related to actual development, but to finding the big bucks to fund the app. Developers short on money have little option but to rely on funding from advertising companies looking to make money every time their advertised app is used. As competition increases and the world gets more demanding, developers must strive to think outside the box and stay up to speed on current trends. 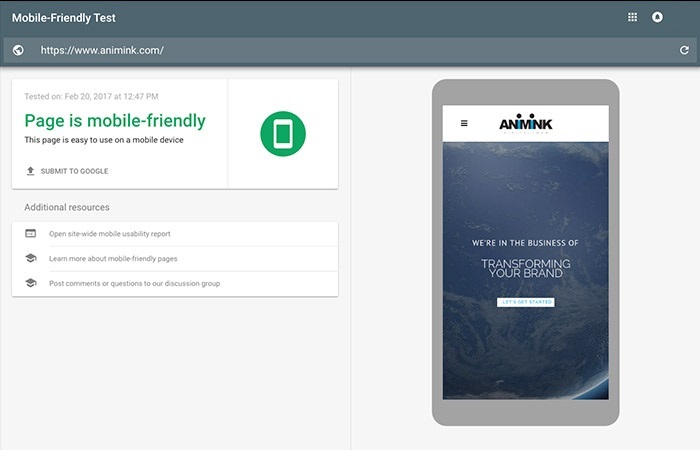 Animink builds between 7-10 professional mobile apps for both B2B and B2C customers every year. Contact us today for a no obligation consultation.